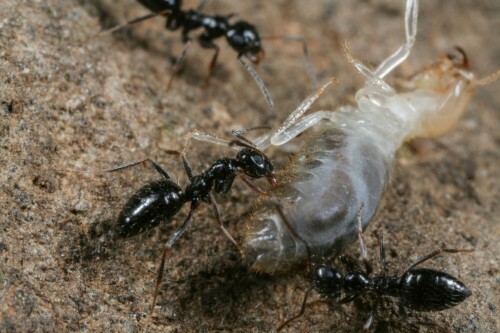 RALEIGH, N.C. — A team of scientists conducting a recent biodiversity survey in the ancient church forests of Ethiopia made an unexpected discovery — a rather infamous ant species (Lepisiota canescens) displaying signs of supercolony formation. According to D. Magdalena Sorger, a post-doctoral researcher with the North Carolina Museum of Natural Sciences and a key member of the team, the discovery is significant for two reasons. 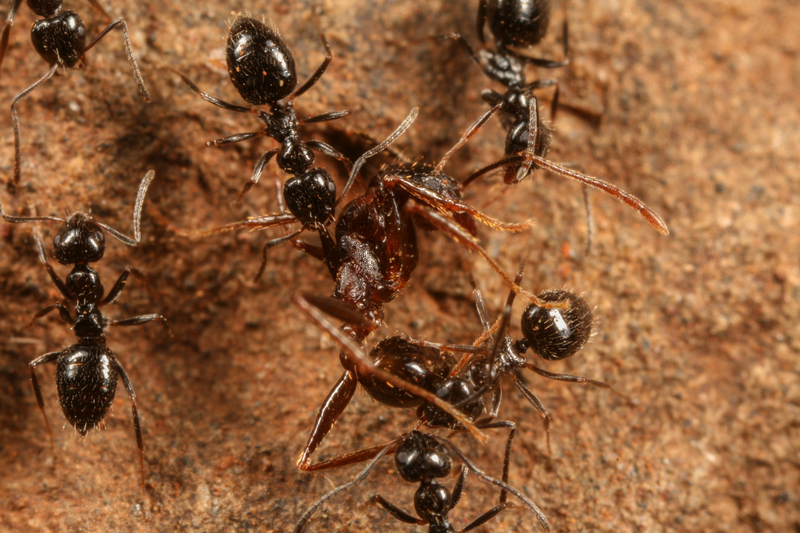 First, supercolony formation in ants is rare, with documented cases of only around 20 species worldwide. Second, other species in the Lepisiota genus have recently made headlines as worrisome invasive species, one in South Africa’s Kruger National Park and another that shut down Australia’s Darwin Port for several days. The team’s findings, were published in Insectes Sociaux in November. Supercolonies are colonies that extend beyond just a single nest and can sometimes cover many thousands of miles. The strongest basis for describing a large colony as a supercolony is its capacity to expand its range without constraints. In this study, the scientists found several supercolonies of L. canescens, the largest one spanning 38 km (24 miles). Molecular analysis of these ants showed lots of genetic diversity within and between supercolonies, indicating supercolony members were not more closely related and this species was native to the region. These are the largest documented supercolonies of a native ant species. Yet their exploding numbers, along with their observed ecological dominance as well as general nesting and diet, are all characteristics reminiscent of an invasive species. The paper, “Outnumbered: A new dominant ant species with genetically diverse supercolonies in Ethiopia (Hymenoptera: Formicidae: Formicinae: Lepisiota),” is published in the journal Insectes Sociaux. The paper was co-authored by Warren Booth, Alemayehu Wassie Eshete, Meg Lowman and Mark Moffett. Authors: D. Magdalena Sorger, North Carolina Museum of Natural Sciences; Warren Booth, The University of Tulsa; Alemayehu Wassie Eshete, Bahir Dar University; Meg Lowman, California Academy of Sciences; and Mark W. Moffett, Smithsonian Institution. Abstract: A Lepisiota species in Ethiopia has been observed forming supercolonies spanning up to 38 km. L. canescens occurs at very high densities where there is sufficient moisture or herbaceous cover and dominates the local ant community, traits reminiscent of an invasive species. The supercolonies are genetically diverse, however, indicating they have not gone through the population bottleneck usually characteristic of species invasions. We conclude that the species is native to this region, though expanding its range locally into areas of human disturbance, where it is exploding in numbers. The lack of aggression across a genetically diverse population suggests that mitochondrial genetic variation is decoupled from variation relating to colony recognition cues like cuticular hydrocarbons. All in all, L. canescens could have the makings of an invasive species at an international scale, and may represent a novel system to study the evolution and spread of supercolonies in ants.